Try Your Hand at Cartooning in Sugar Grove! Join us for cartooning at Waubonsee Community College, Sugar Grove, Illinois. 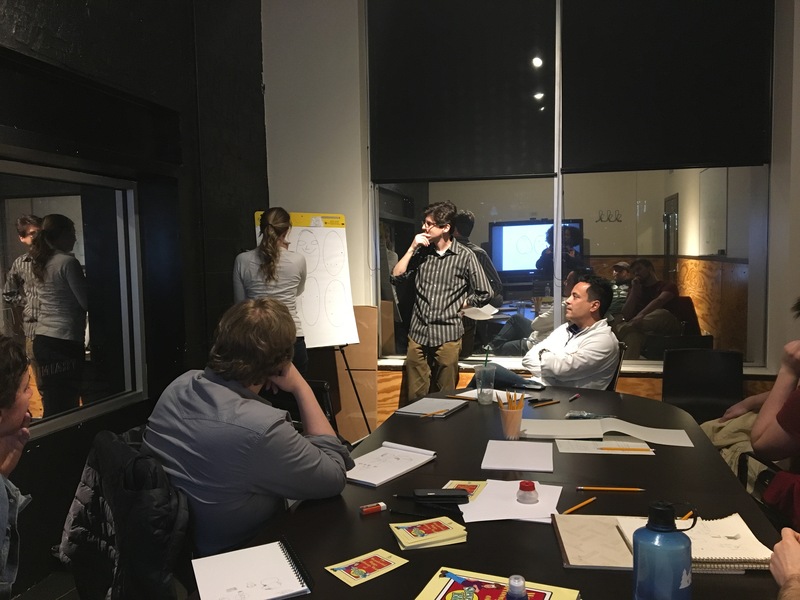 No drawing experience is necessary for this unique creativity workshop with the multi-talented Steven Fischer. Develop your original, personal story through drawing. Generate ideas using a range of writing and drawing exercises as you develop characters, locations and themes. Along the way, explore the philosophy and psychology of inspiration, cartoon art, creativity and storytelling. Experience runs from 9 a.m to 12:00 p.m. at the Sugar Grove Campus – Collins Hall, Room 204. Attention Annapolis! Learn the art of cartooning through two individual workshops or buy both workshops as a package. Click here and sign up today! Steven Fischer, a two-time Emmy® nominated filmmaker and cartoonist, takes us through his personal journey in cartoons that led to an award-winning career in the arts working on projects with such creative luminaries as Martin Scorsese, Brian Cox, Mariska Hargitay, and animation legend Bill Melendez. Fischer explores the philosophy and psychology of character creation, inspiration, creativity, and storytelling in ways that help aspiring storytellers effectively bring their characters and stories to life. Students may register for the Lecture/Q & A and Workshop separately or for both with the Cartooning Series Package. Cartoon Class at Second City, begins April 5! 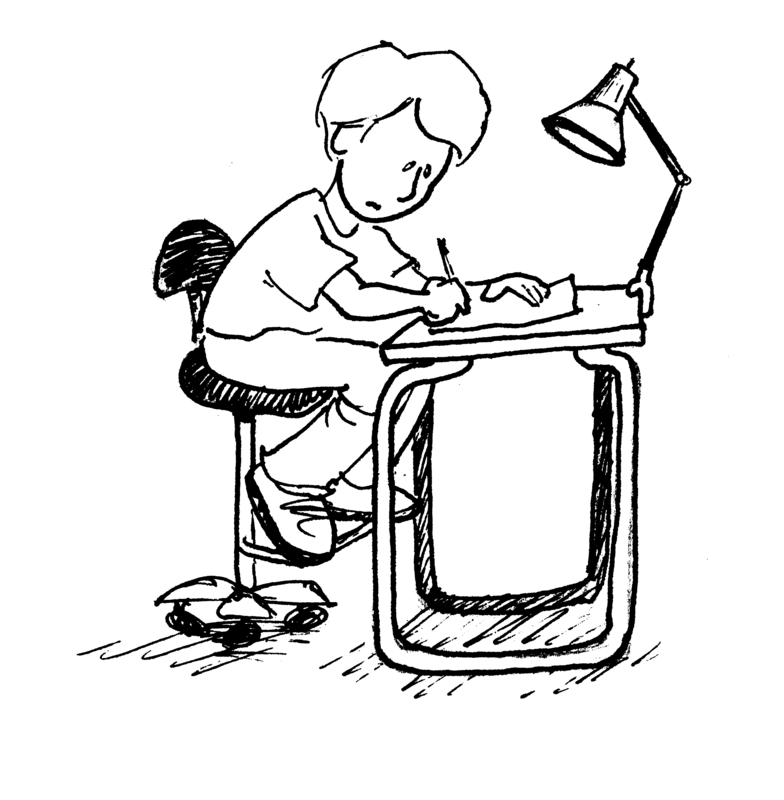 Many thanks to The Second City, Chicago, for offering Introduction to Cartoon Storytelling — 4 weeks of intense cartooning starting April 5. Get those pencils ready and sign up here. Learn the art of cartoon storytelling, effective communication techniques, and develop personal expression. This course explores story breakdown, character development, page layout, and studies from life. Students will create original characters and an original story based on personal experiences. No previous drawing experience required—if you can create a stick figure, you can succeed in this course!3 hours, 4 weeks starting April 5, 2017. About the instructor: Steven Fischer is a two-time Emmy nominated filmmaker and cartoonist. His credits include the Steve & Bluey cartoon series, the acclaimed animated documentary Freedom Dance (2007) with Mariska Hargitay, and Old School New School (2011) a personal study on creativity with celebrated actor Brian Cox and jazz legend McCoy Tyner among many other internationally acclaimed artists. Steven’s commissioned work includes projects for Maryland Public Television/PBS, TV Asia, Nextel, Bill Melendez Productions, and Screen Arts Animation. Steven is a Fulbright recipient and sought internationally to speak on creativity. 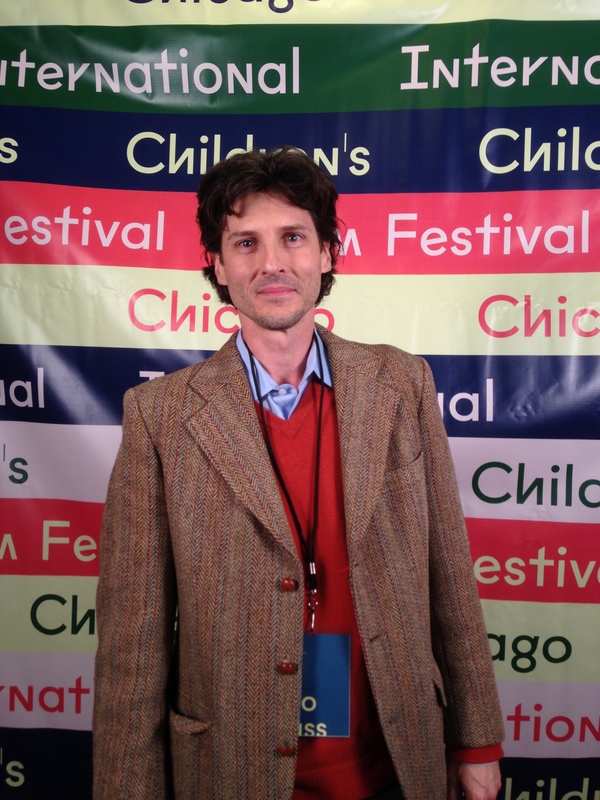 Cartoonist and animation filmmaker Steven Fischer presents Cartoon Storytelling at The Second City in Chicago. Photo by Alicia Haywood.